This is the first retrospective museum exhibition of the Argentine artist Mirtha Dermisache (Buenos Aires, 1940-2012). 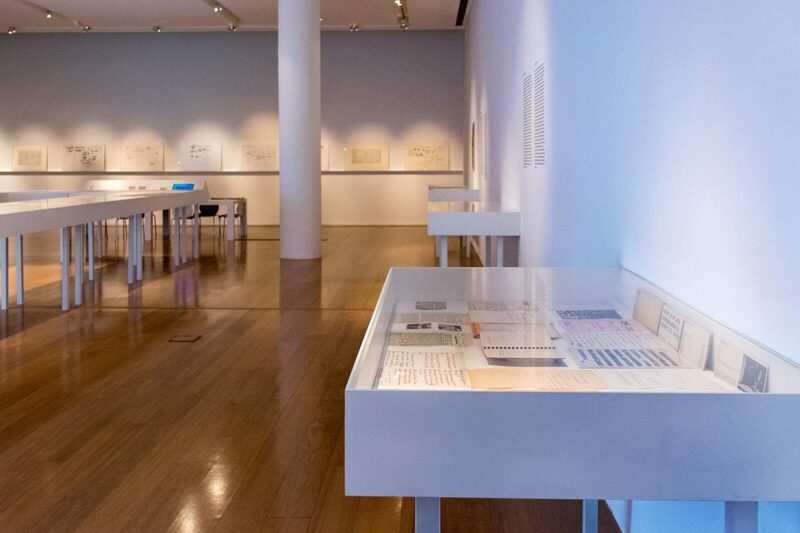 Between visual art and writing, the oeuvre of Mirtha Dermisache is divided between books, letters, texts, diaries and postcards, formats in which she experimented with the expressive possibilities of her graphic stroke on paper. The exhibition provides a complete survey of her artistic output, from the first book she made in 1967 to her last group works in the 2000 decade. 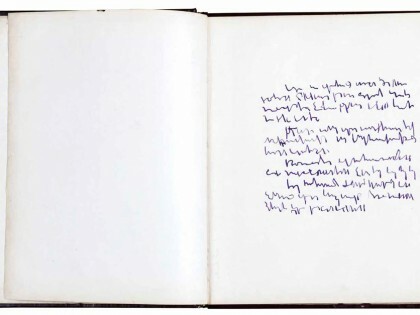 It includes 140 pieces from private collections, as well as a broad range of documents from the Archivo Mirtha Dermisache, which since 2013 has been painstakingly cataloguing and recording her works. 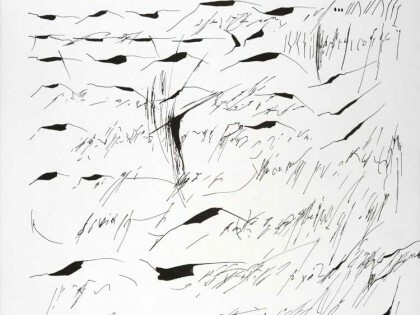 Throughout her career, Mirtha Dermisache built up a calligraphic corpus through "illegible writings," a term coined by Roland Barthes, who in 1971 showed great interest in her work and stressed her ability to achieve the "essence of writing". 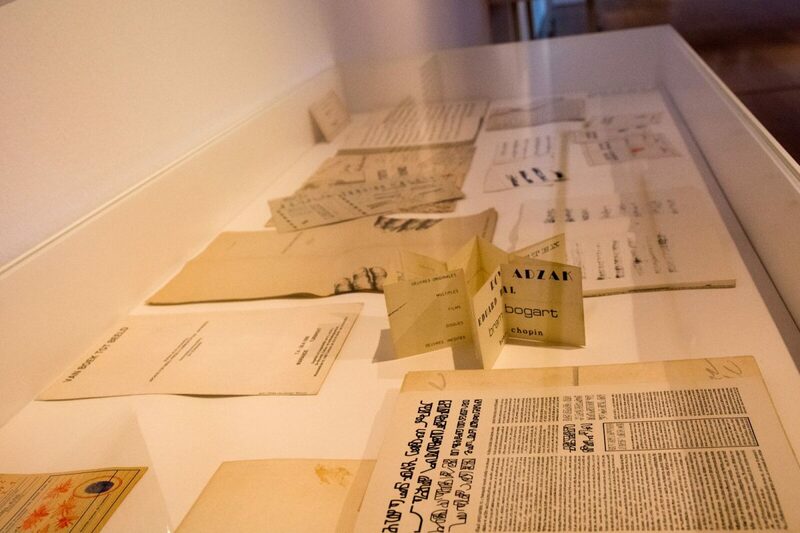 The artist was particularly interested in the editorial capacity of her works, as a form in which to problematize the idea of originality. She was connected to the Instituto Di Tella, the CAYC and the Grupo de los 13, and was characterized as being a solitary, intimistic artist in her written work, and altogether open in her pedagogic production. 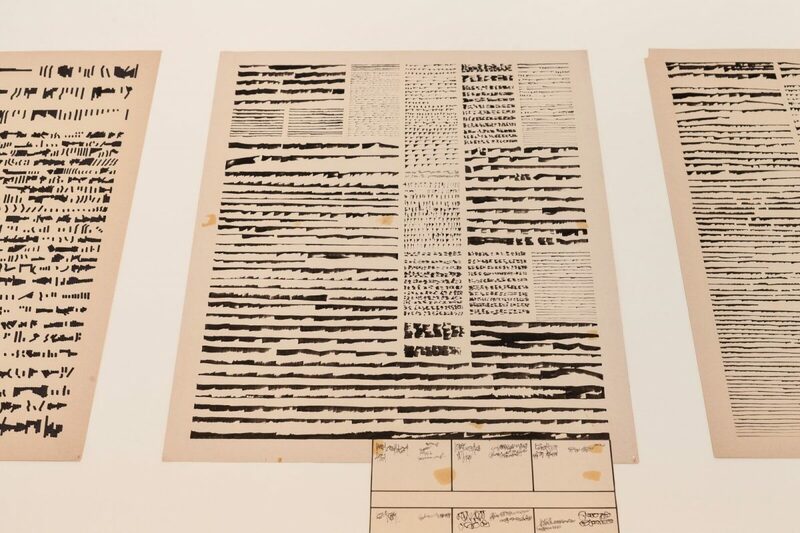 “From the very start, Dermisache's work seems to be traversed by the duality between the search for freedom in creation and submission to a set of rules, a discipline. 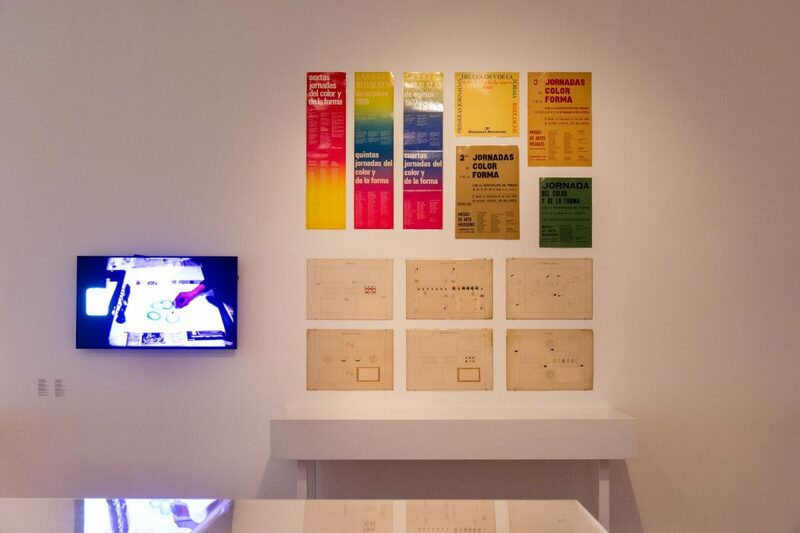 And, when one surveys the whole of her work from 1967 until her death, this duality becomes a constant, indissociable from her task of teaching, understood as the experience of an inverse process of learning: the unlearning of certain ideas that hinder creative free expression," explains curator Agustín Pérez Rubio. 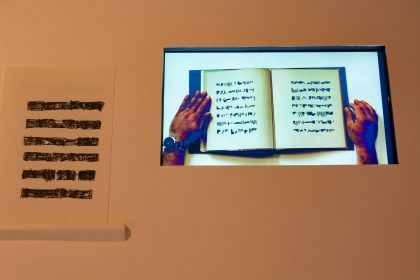 The possibilities for manipulating the mechanisms of publishing will cohabit in the exhibition space with original works, prompting the public to consider the most abstract aspects of writing, such as time, musicality and rhythms, calligraphic plasticity, signification, systematicity and the relation with typography. 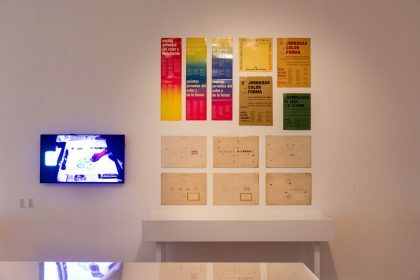 The exhibition also takes account of the artist's creative processes, which include "legible" texts and exercises, as well as her extensive work teaching at the TAC (Taller de Acciones Creativas [Studio for Creative Actions]) and at the six editions of the Jornadas del Color y la Forma [Conferences on Color and Form] (1974-1981), which led to a practice of “work x sum total” in which she would involve all participants. 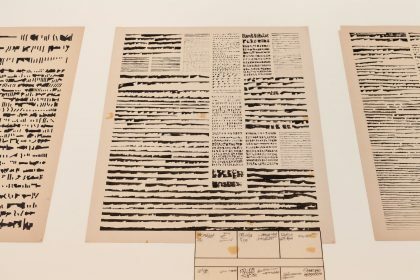 The exhibition plan is based on three years of documentary work researching her personal archive, which also will be on view in order to contextualize and show governing and conflicting facets of her work: discipline, say, versus freedom of expression, or print run versus original, the mass-level versus the individual. Mirtha Dermisache. 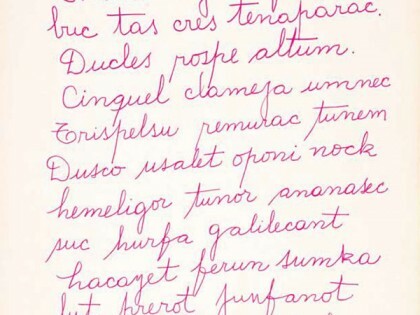 Porque ¡yo escribo! 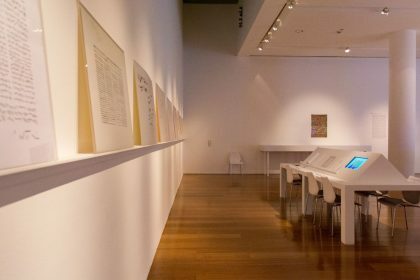 continues the series of projects in Room 3 which seek to revisit the production of women artists who, for various reasons, were not sufficiently recognized in their era, or whose work has still not found its rightful place in the historiography of contemporary art. 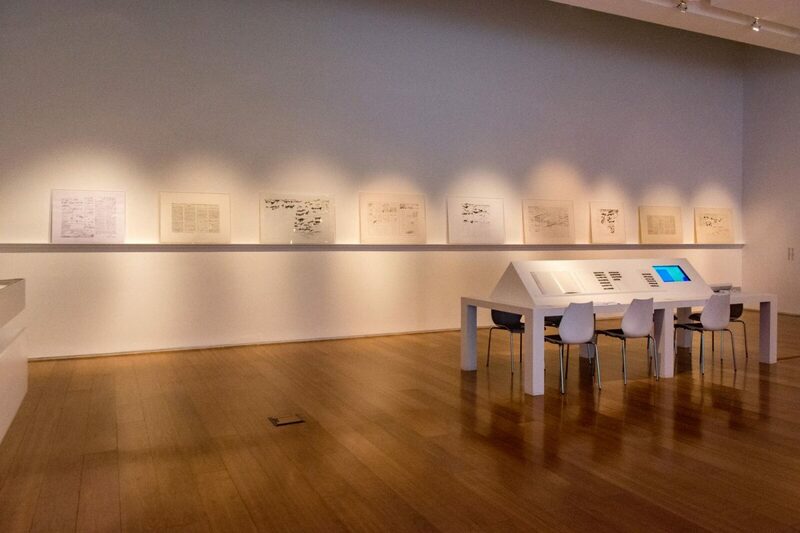 Since 2015 monographic exhibitions have been organized for Annemarie Heinrich (Germany, 1912 – Bs. As., 2005), Teresa Burga (Peru, 1935), Claudia Andujar (Switzerland, 1931; living and working in Brazil since 1954) and Alicia Penalba (Bs. As., 1913 – France, 1982). Along with the exhibition, a 300-page catalog will be published on her oeuvre –in a double edition in Spanish and English–, co-published with the Fundación Espigas and with the support of the Archivo Mirtha Dermisache and the Institute for Studies on Latin American Art (ISLAA). 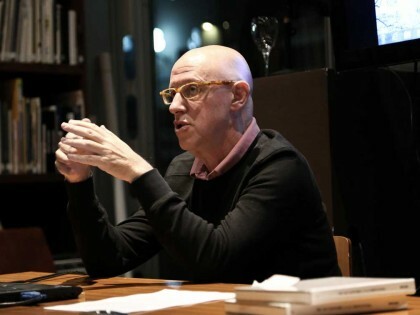 The book includes and the curatorial essay of Agustín Pérez Rubio, artistic director of MALBA; and hitherto unpublished texts by Guy Schraenen, editor/publisher and founder of the publishing house Guy Schraenen éditeur and the Archive for Small Press & Communication (A.S.P.C. 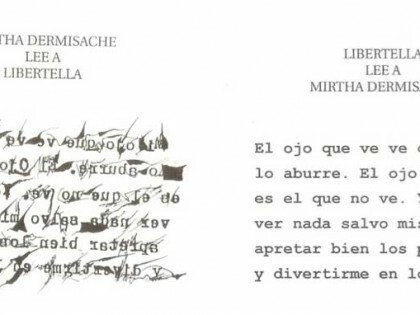 ); Belén Gache, writer and poet; and Lucía Cañada (UBA-IDEAS- UNSAM), as well as a biographical chronicle of the artist by Cintia Mezza, Cecilia Iida and Ana Raviña of the Archivo Mirtha Dermisache. 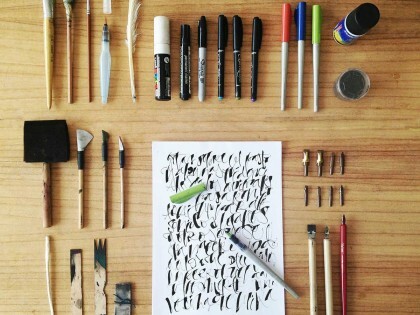 Dermisache studied in the National Fine Arts Schools Manuel Belgrano and Prilidiano Pueyrredón. 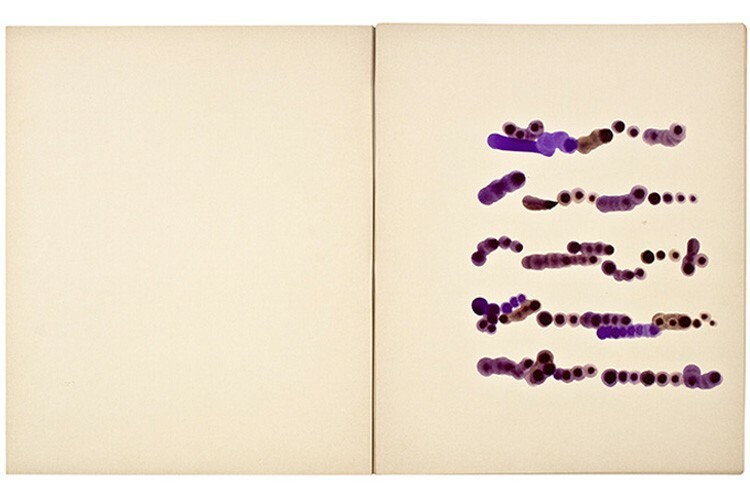 Between 1966 and 1967 she made her first graphic art book. 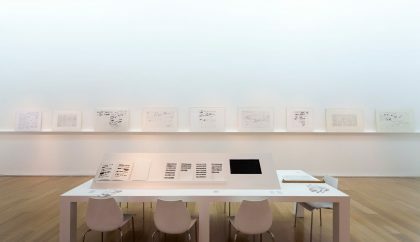 By the 1970s, her work has gained the appreciation of Jorge Romero Brest, Amancio Williams, Oscar Masotta and Edgardo Cozarinsky, among others, and was presented at the CAYC, which Jorge Glusberg directed. 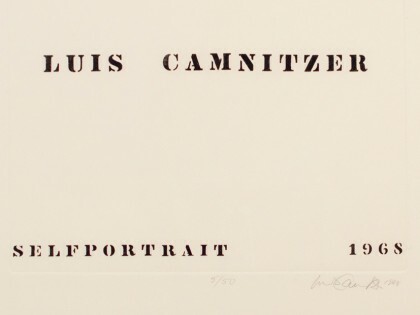 Ulises Carrión exhibited her works in the gallery Other Books and So (Amsterdam) and the Belgian editor and curator Guy Schraenen published them through the imprint Archive for Small Press and Communication. 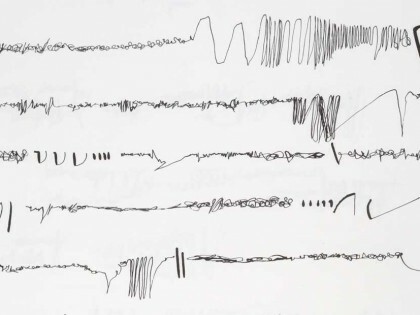 Dermisache 's graphic works were also published by Marc Dachy in Antwerp, and published in Flash Art, Doc(k)s, Kontext, Ephemera and Axe. 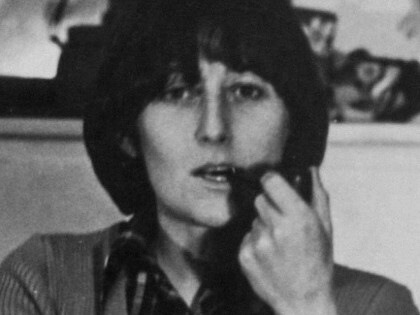 She took part in various group shows, outstanding among them: From Figuration Art to Systems Art in Argentina, at the Camden Arts Centre (London); Arte de Sistemas en Latinoamerica [Systems Art in Latin America] 1974, at the International Cultureel Centrum (Antwerp), and at the Palais des Beaux-Arts (Brussels); and Arte e Ideología. CAyC al aire libre. 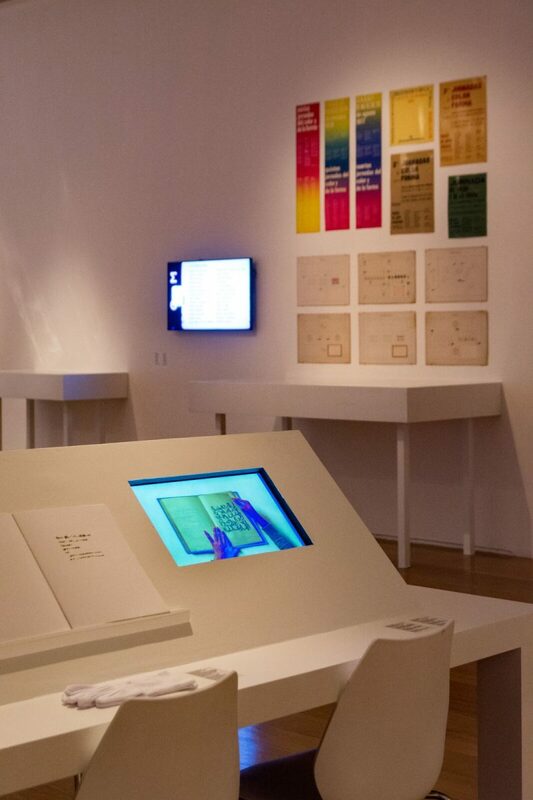 Arte de Sistemas II [Art and Ideology: CAyC Outdoors: Systems Art II], at the Museo de Arte Moderno (Buenos Aires). 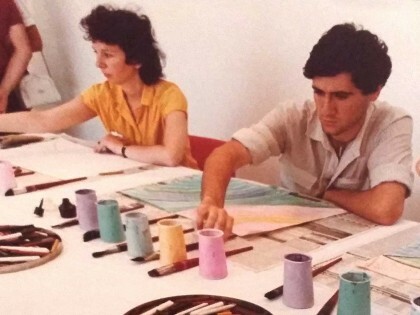 In parallel with her artistic production she had an extensive teaching career, from the TAC (Taller de Acciones Creativas [Workshop for Creative Actions]) and with the creation and from the workshops and six editions of the Jornadas del Color y la Forma [Color and Form Conferences] (1974 to 1981), large-scale public workshops aimed at teaching of various visual techniques in order to develop the creative capacity and free expression of adults. 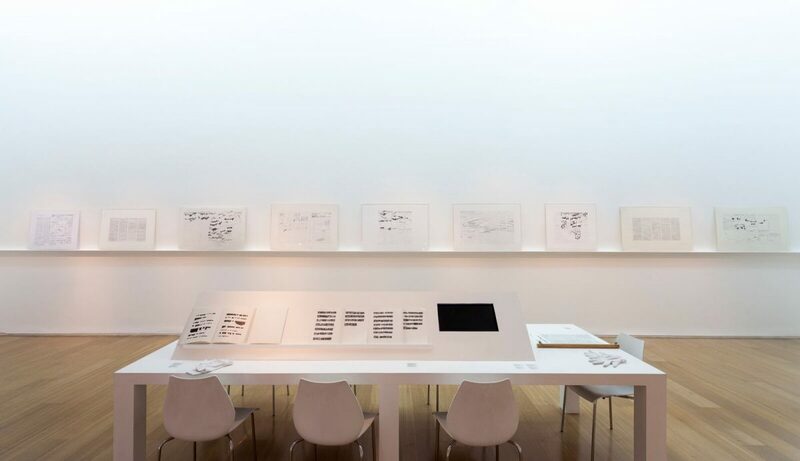 Works of hers are in the collection of the Museo de Arte Contemporáneo de Barcelona (Spain), the Museu de Serralves (Portugal), the Museum of Modern Art (USA) and the Museo Nacional de Bellas Artes (Argentina).